OSP Group, the Gillingham-based construction site personnel recruitment company, is continuing its funding for the Kent based charity, One Big Family, having started its relationship in 2016. 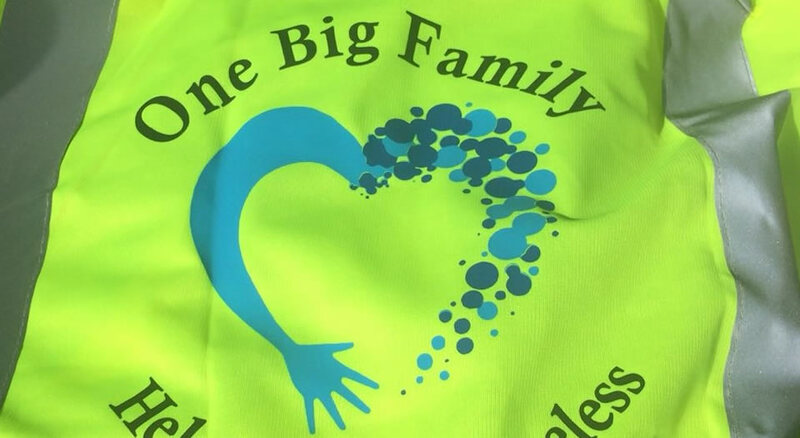 One Big Family was started by Liz Shaw after a chance meeting with a homeless ex-serviceman in London in early 2015. His suggestions about what items are most requested by those who are homeless led to Liz developing ‘essential kits’ to distribute to those in need, initially in London and later in Kent and Yorkshire as well. One Big Family’s workers are unpaid and the charity relies on private and corporate donations. Costas Pieri, founder and MD of OSP Group: “Medway Council housing department is based in the same building as our head office and so I am reminded of the issue of housing when I go to work. My family is fortunate because we have a home of our own but I know that many people have problems and that there is an increasing number of people on the streets. When I found out about the work that Liz and her team are doing including the emergency winter refuge and the practical help they provide, I decided to support One Big Family”.